Since there were no winning tickets in laset Friday’s Stronach 5, the national Pick 5 wager with the industry-low 12-percent takeout will have a carryover Friday, Nov. 30 of $88,189.41. The minimum wager on the multi-race, multi-track Stronach 5 is $1. If there are no tickets with five winners, the entire pool is carried over to the next Friday. 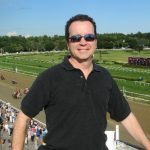 Winning payoffs in Friday’s Stronach 5, with races from Laurel Park, Gulfstream Park West and Golden Gate Fields, ranged from $25.80 to $6.40. If a change in racing surface is made after the wagering closes, each selection on any ticket will be considered a winning selection. If a betting interest is scratched, that selection will be substituted with the favorite in the win pool when wagering closes. The Maryland Jockey Club serves as host of the Stronach 5 Wager Carryover.